While testifying before the House panel on Wednesday, Todd Harrison, another CSIS expert, reiterated that the American armed forces’ “dependence on space across the full spectrum of conflict” renders the U.S. vulnerable to its top ASAT domain rivals, Russia and China. “Adversaries can use forms of attack against our space systems that are difficult to detect, attribute, and deter. … Much remains to be done to improve the readiness of our national security space forces for the wide range of threats,” Harrison noted in his written testimony. Two of the three witnesses flat out told House lawmakers on Wednesday that the American military is not ready to take on adversaries like Russia and China in space. Consistent with the general’s warnings, Loverro, the former Pentagon official, explicitly said America’s space warfighting forces are not yet ready for conflict. “We are not ready, or more properly, we are not on a firm path to be ready,” he told lawmakers. No adversary should mistake that statement an invitation to attack. The fact of the matter is that US space capabilities are robust and, faced with any attack that could be mounted today, I am fully confident that they will continue to provide the US with sufficient warfighting edge to assure an adversary’s defeat. But as we move into the future, as our adversaries begin to close the gap in other warfighting domains, and as they continue to field and expand their counterspace capabilities, that calculus could change. U.S. President Donald Trump’s National Security Strategy deemed adversaries’ “counterspace” capabilities as a threat to the American homeland. Meanwhile, the U.S. intelligence community predicted in its most recent Worldwide Threat Assessment that the latest generation of Russian and Chinese destructive ASAT weapons will be operational “in the next few years,” highlighting “counterspace” as one of the top perils facing the international community. Despite the advancements made by the Chinese and Russian militaries in the space warfighting domain, they continue to trail behind the United States as the most powerful armed forces in the world, revealed the most recent Global Firepower (GFP) index, which ranks 133 countries annually. 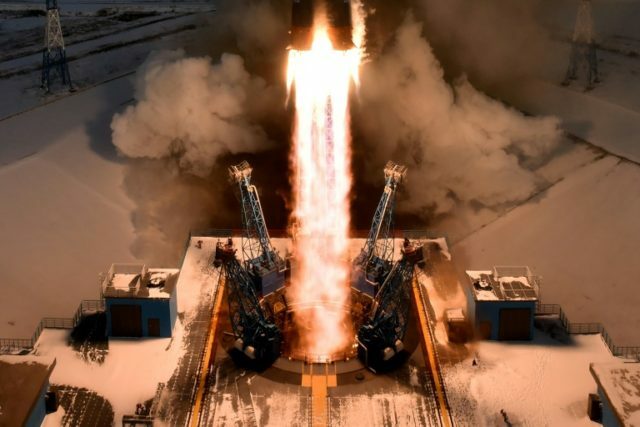 Nevertheless, the experts urged American lawmakers on Wednesday to increase U.S. investment in developing the ability to defeat adversaries in space.